Internet cruelty is nothing new. It might only surprise children and the uninitiated, who dip into the public sphere for the first time and are shocked by what comes back at them. But Lockwood’s response reveals a generational shift. Her mother calls the commentators “people.” Lockwood identifies them as “the Internet,” a strange hybrid of human and computer, innately vicious but also ubiquitous, phenomena to be ignored. You may think that so-called internet "trolls" are a minority of people who finally have a medium through which to express their innermost thoughts and feelings, but if you take a close look at your own thoughts, you will recognise the occasional cruel thought swimming in a pool of thoughts in your mind. 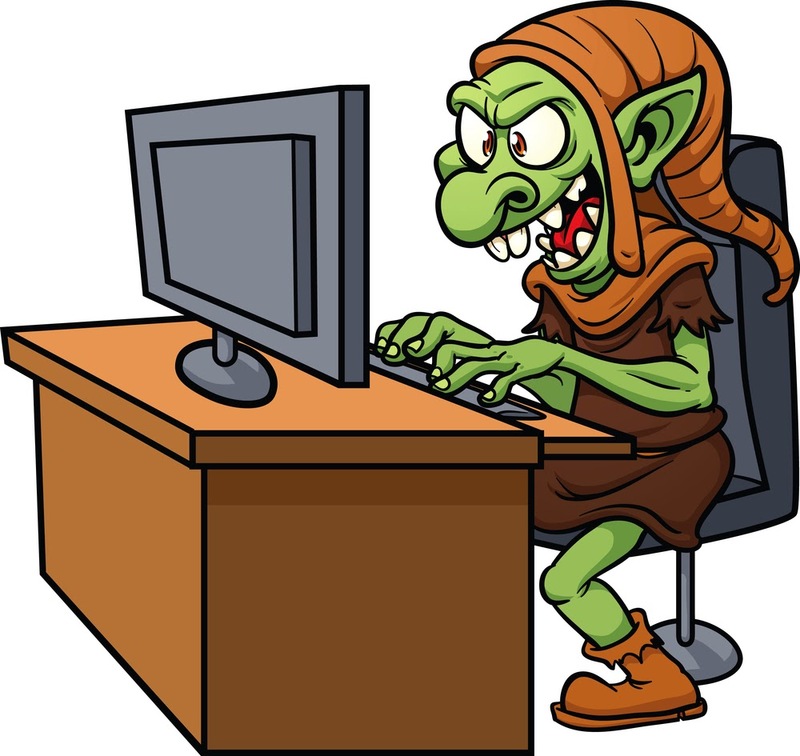 Internet trolls are showing us the extent of the problem we are facing within ourselves - the extent to which we lack respect and compassion for each other, the extent to which things like discrimination still exist. It is safe to say that most people have at least one thing to which they would behave in this manner, be it bad drivers, an ethnic or racial group, or even the government. The reality is that those foul thoughts exist within you, whether you feel that they are justified or not, you are allowing this cruelty to exist simply because you feel justified. Everyone who allows a cruel though believes themselves to be justified in allowing it - it is that belief in your own rightness that contributes to the massive problem we are facing in human nature now. We allow everyone the right to their own opinions, even when those opinions amount to discrimination or downright cruelty. We allow it in others in order to validate our own participation in these thoughts. Twisted, yes, but a clever trick that lets us do whatever we want without feeling too guilty about it. Don't be so quick to judge the trolls on the internet, take a good hard look at yourself to see where you may be having similar words going through your mind. Being willing to be honest with yourself is the first step to changing yourself into the person you want to be and live according to principles of integrity.